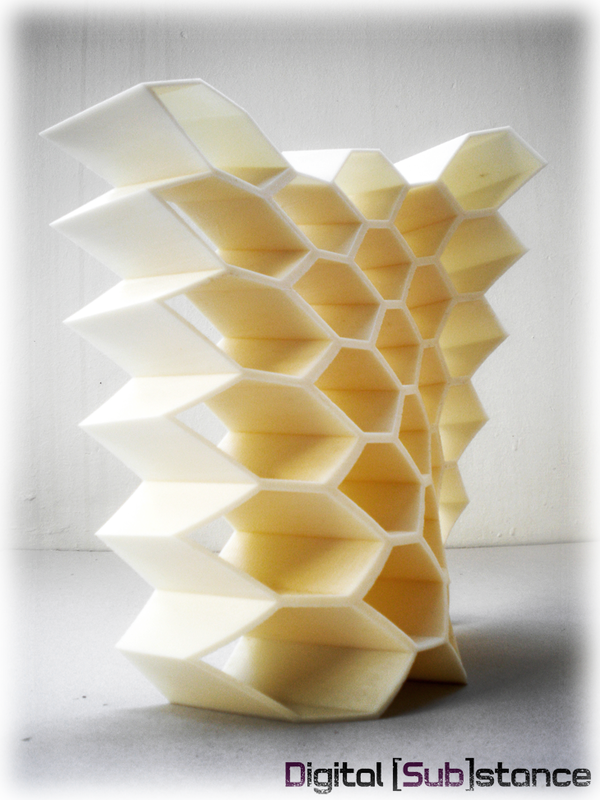 I was really pleased to receive a few pictures and a small description for a project undertaken by a group of students at the NTU Athens, as coursework for a parametric design and fabrication module, which has implemented the HoneyComb VB.net script. 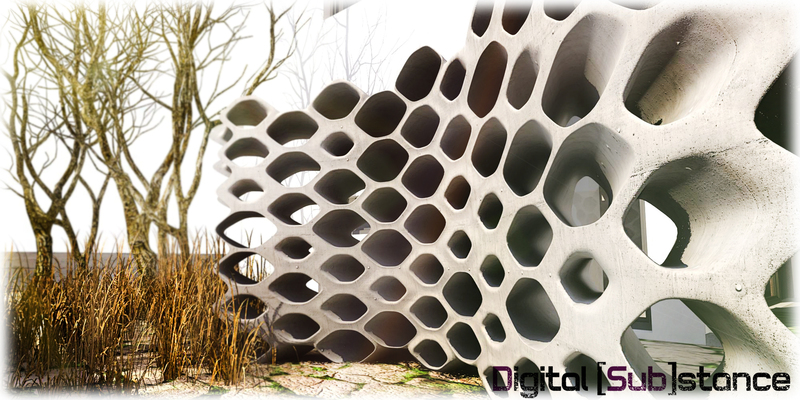 The resulting geometry is an aesthetically appealing, self-sustained nurbs-based boundary which performs as partition element of controlled porosity and user defined vicinity. Although it would be nice to incorporate an evolutionary approach to this case study, I an not sure if this was a prerequisite to the specific project. 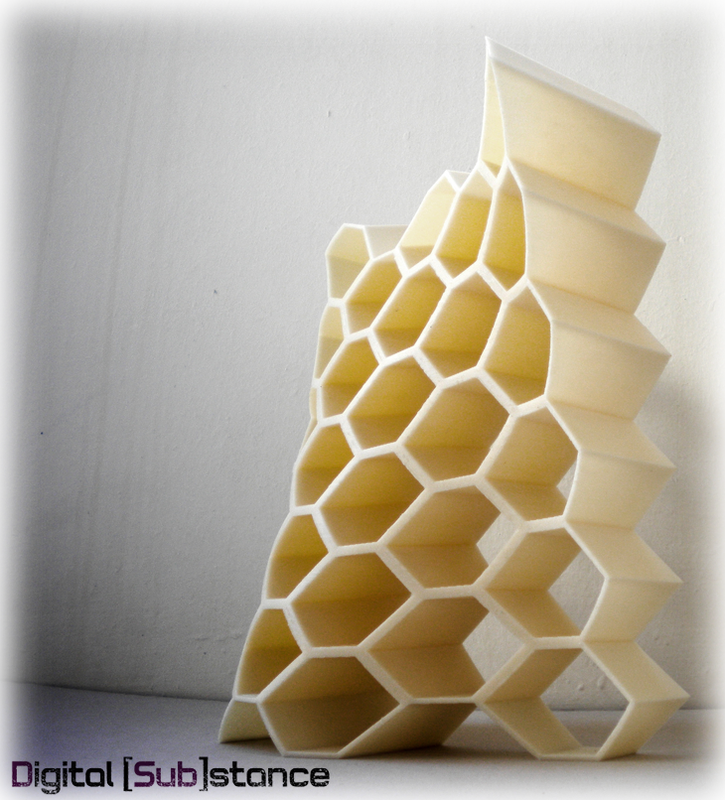 Well done guys, keep up the good work and thank you for providing me with the info and offering the chance of a 3d printed version of the HoneyComb VB. just received a few renders and diagrams from the project’s team…here you go..
It’s been a while since my last post,[almost two months!! ], but I have been really busy lately. I finally got some time to spend on organizing a few attractor routines, that I use quite frequently when working with Grasshopper, and compile them into GH User Objects. In addition to the Point Attractor User Object in the previous post, three more definitions have been added in the [Sub]Code page. The first one regards an attraction field based on a curve attractor.The other two are providing the ascending and descending values from the interaction between a point attractor and an array of points. This is quite a useful definition for creating gradients on surface population routines and for further geometrical and scalar manipulations on predefined modular components. In the meantime more parameters are provided for even better understanding and control of the configurations. To install the Grasshopper User Objects please refer to the previous posts. You can download them at the usual place. Any feedback and report for bugs is deeply appreciated!!! !